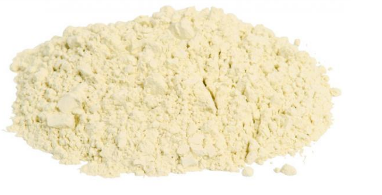 Pea protein isolate is a plant protein with an excellent amino acid profile. 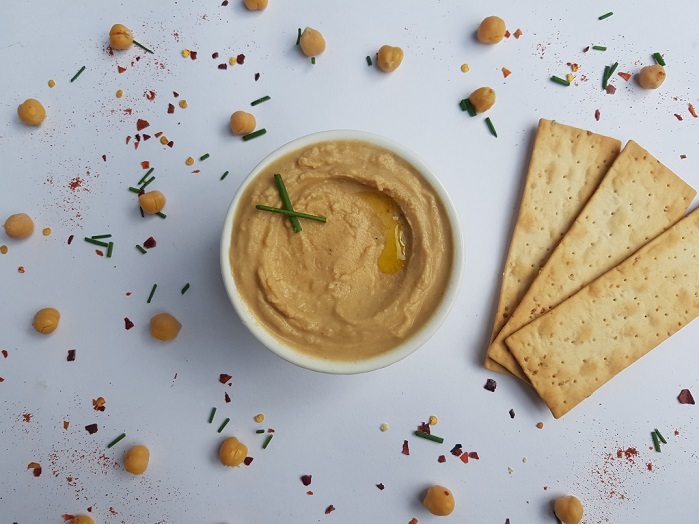 It's made from premium-quality natural golden peas grown in Canada which have been dried and ground, then mixed with water to remove the fibre and starch components. It's then ground and dried again to produce a product which is very high in protein, low in fat, easily digestible, and non-acidic. Low heat isolation is used to maximise bioavailability. Pea protein is vegan and GMO free. It's also naturally free of dairy, gluten, soy, and other allergens*. 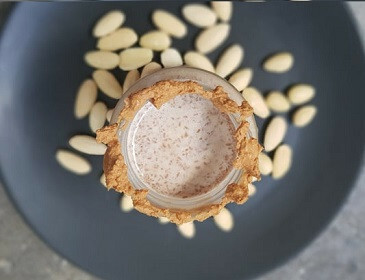 It mixes easily in a handshaker or blender, and also works well in recipes as it doesn't tend to dry out when baked like some other protein powders can. It can be used to make cookies, bars, pancakes, balls, muffins, and more. Our recipes page has some tasty ideas. 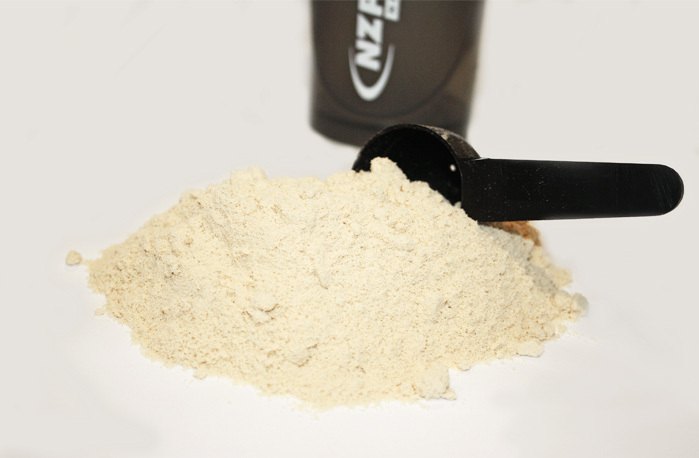 Newer generation pea protein isolates are better than before because they have a complete amino acid profile. This product contains all 21 amino acids and is a rich source of branched chain amino acids. Amino acids are the building blocks of protein and muscle tissue. Proteins are an essential part of the diet as they help the body to repair cells and make new ones, so are often referred to as the building blocks of life. Because pea protein has a complete profile with high levels of BCAAs it can help the body to recover and build muscle more efficiently. 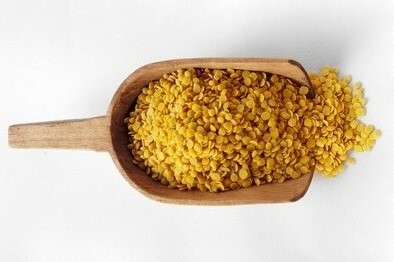 The best pea proteins are processed without adding copious amounts of sodium to the formula in the manufacture of it. Our product has low sodium - only 53mg per serve or 168mg per 100g on average (unflavoured). Our product is also far more cost effective than some other pea protein products on the market which go through 'middle-men' and retail into stores. Pea protein is considered a clean lean product not only because it's high in protein and low in fat without the allergens, but it's more environmentally friendly - pea crops even benefit soil! Peas belong to the 'nitrogen fixing' category of crops, meaning they provide an abundant and sustainable source of nitrogen into the soil. Peas contain bacteria called rhizobia in their root systems which is utilised by crops to convert nitrogen gas from the air into more usable forms for the plant. After the plant dies the nitrogen is released into the soil. That nitrogen assists other plants to grow without the need for added fertiliser. This environmentally friendly aspect of pea production adds to its many benefits. Pea is vegan, hypoallergenic, and alkaline. Whey is not. Whey can cause some people to get bloating and upset stomachs, whereas pea is easily digestible. Plants proteins are slower digesting than animal sources so can make you feel full for longer and enable more prolonged absorption. This study has shown that slower digesting proteins can be more beneficial for long term muscle growth due to the way the body uses the amino acids. Pea may also help to lower blood pressure and with kidney disease. "In people with high blood pressure [it] could potentially delay or prevent the onset of kidney damage." Source. Pea contains minerals including iron, phosphorus, calcium, zinc, potassium and magnesium that can benefit your health. Pea may help to improve glycemic control and balance blood sugar levels when paired with other foods. Pea, being plant based, is a slower digesting protein powder than general animal types. In saying that, the digestibility rate is high with 88% of the protein easily digestible. The better a protein is digested, the more efficiently it can be used by the body. The digestibility of any given protein is related to the concentrations of its amino acids. The Protein Digestibility-Corrected Amino Acid Score (PDCAAS) is a rating that determines the bioavailibility of a protein. The maximum score is 1.0. This study gives pea a PDAAS score of 0.64. This is greater than lentils and green peas but equal or slightly less than some beans. High protein diets can help people to lose weight and keep it off as consuming protein can help increase metabolism, reduce appetite, and help control blood sugar levels. 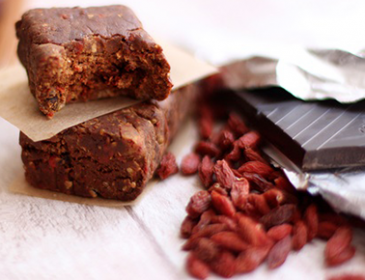 Pea protein may assist with sugar cravings and can make you feel full for longer and enable more prolonged absorption. This has a mild taste which may take some adjustment if you've never had pea before. Of course, flavoured varieties are available too. The texture has a very slight grainy-ness to it but it's easily palatable. It blends easily into other foods and with other flavours. It's formulated to mix with water, but other liquids (such as almond milk and yoghurt) can be used. It mixes thicker than whey and more liquid should be added. Pea Isolate mixes easily in a handshaker or with a spoon but it's always good practice to add liquid before the powder. Our Fill n Go Funnels make this easy. Depending on your nutritional requirements take 1-2 servings daily at breakfast, between meals, post workout, or before bed. Pea allergies are uncommon. Those with allergies to pea should avoid this product. There is a misconception that antinutrients can cause pea protein to be difficult to digest and not absorb well. Antinutrients are compounds that can interfere and prevent absorption of nutrients such as proteins and minerals. This is not the case. Though antinutrients are naturally present in peas, they're eliminated through the manufacture and extraction process. For this same reason, pea protein is unlikely to cause bloating. Now that we know all the benefits of pea protein we can address which is better - whey or pea? One serving of our pea contains 111 calories and ~25 grams of protein. One serving of our whey contains 130 calories and ~25 grams of protein, so both have similar protein levels and whey has slightly higher calories. Both are also high in L-leucine. Leucine is one of three branched chain amino acids and is primarily involved in muscle protein synthesis for muscle growth and recovery. It also contributes to the regulation of blood-sugar levels, growth hormone production and would healing. The leucine content of pea is about 7g per 100g, and in whey about 9g per 100g, so both are great for muscle development and initial research suggests that pea is as effective as whey in supporting muscle gain. Another study here found that pea protein vs whey protein taken post exercise both yielded positive results with no difference between the group taking pea and the group taking whey. Overall, while both have excellent amino acid profiles, the amino acid profile of whey is better and whey generally tastes better. Pea is also slower digesting than whey, but has many other benefits as outlined above. Vegan friendly. Hypoallergenic and alkaline. Best plant based amino acid profile. Easily digestible and slower digesting than whey. Contains milk and lactose which can cause some people to get upset stomachs (such as bloating). Good replacement for whey if avoiding milk and alternate source of protein if suffering from stomach upsets (such as bloating). For more information see our blog articles plant vs animal protein and hemp vs whey vs pea. Traditionally we were told to mix pea protein with rice protein because they were incomplete proteins - ie, missing one or more essential amino acids, and that the combination of both 'filled the holes' and made them complete. Both pea and rice are complete proteins, containing all essential amino acids. Both have powerful amino acid profiles suited to muscle building, with high levels of branched chain amino acids. Though rice is a very good source of protein it has a grainy texture and can be unpleasant to drink. Pea is only slightly grainy and easier to drink than rice, so we recommend pea over rice except for those with pea intolerances. Rated 4.6/5 Based on 70 customer reviews. purchased the double choc pea protein and wish I liked the taste but it is undrinkable, texture and taste. Love other stuff from nzprotien, but this was for me was a disgusting flavour. 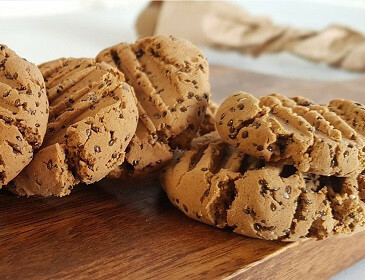 NZPROTEIN COMMENT: due to the nature of pea protein we recommend trying the salted caramel and some of the other flavours as pea can have an acquired taste. Hey team at NZProtein, thank you for bringing such affordable and yum plant based protein to the market! I have been using your pea protein for the last 3-ish years pretty much every day and love how well it mixes with a cup of oats and handful of blueberries for a quick morning breakkie, and do not miss the extraordinary cost of other plant based protein brands! 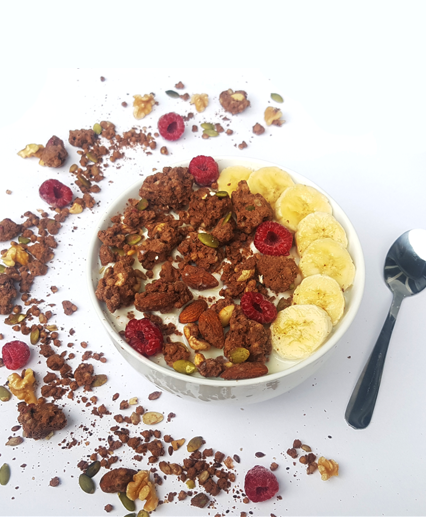 My friends and family are pretty much all sold on your product, and are happy to be supporting an innovative NZ brand (love the mousse/granola!). Hope to be buying off you for many years to come! Cheers, Barney. Possibly the best value protein powder on the NZ market. Blends well, it isn't chalky, taste great. I highly recommend the peanut butter, and white chocolate raspberry flavour, these are my favourites! Personally I find the cinnamon chai flavour way too strong for my liking, and I found the lime flavour quite bland. Can't wait to see what other flavours you release in the future!! I have been taking pea protein for a couple of months now and have found it to be a fantastic alternative to whey, I had to stop taking whey as it was making me bloated and gassy. I only wishNZProtein had a banana flavour for the pea protein, fingers crossed it gets added in the future. I always order unflavoured whey isolate and have been pretty happy with it. This time, I decided to try unflavoured pea isolate. OMG, it tastes so gross :(( no matter how much fruit, almond milk, coconut water, ALS and even honey I add to the smoothie, the powder taste is still very strong and unpleasant. 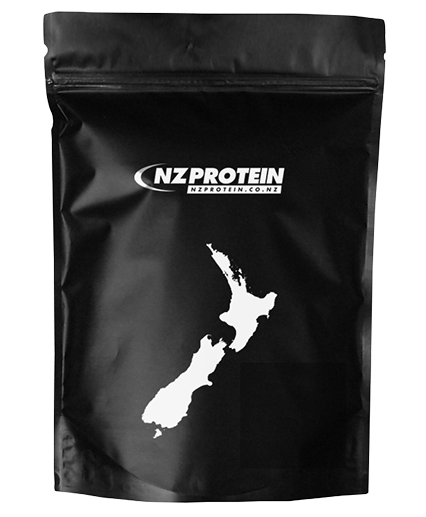 NZPROTEIN UPDATE: Due to the nature of pea protein we recommend a flavoured version, and sample packs are available to try. I have been buying this product weekly for about a year now, I wish I had discovered it sooner. Consistent product that is substantially cheaper than its competitors and just as good, if not better. Delivery times are great too, I order at 7am before work, and it is usually delivered by 4pm that same day, or the next morning at the latest. Recommend the Double Chocolate flavour, goes great with smoothies and is easy to down after a workout. First off I was so impressed with delivery. I don't think I have ever received a parcel so fast! Ordered late afternoon and I had it the next day. I was told by my nutritionist to switch from whey to pea protein so I ordered the vanilla and salted caramel. I couldn't do the salted caramel at first as i wasn't used to the pea protein, so if you're transitioning I definitely recommend the vanilla flavour first. Now that I've been having this protein for a month, I absolutely love both flavors in my morning and post workout smoothies! Just wanted to say how impressed I am with the turn around time from order to delivery. I have ordered 3 times now (late afternoon) and have received the item the next day - including an item received on Saturday. Thank you for the excellent service. I've tried all the flavours, and double chocolate is definitely the best, in my opinion. This pea protein has worked out really well for me. I usually don't have time to eat right after a workout, so it's helpful to have this so I don't lose my gainz. Chai Cinnamon is a great flavour - best pea protein I've had. The Salted Caramel flavour is the bomb! So DELICIOUS and moreish. Have to agree with others about the Vanilla being a little grainy - popping some strawberries in really remedies that though. Awesome and quick delivery, great prices. Will be buying again! Great product but piss poor that you are out of stock, consistency is the key for training and having the right protein is the vital, will have to look else where for a backup supply. NZProtein's reply: Sorry but all the latest pea we got in for the choc and caramel from the importer was faulty and to make it worse there is none left in the country. We are flying an emergency batch in, due within the week. It's the fault of our suppliers, not us. Yes we could have used an alternate supply but none are as pleasant tasting. Fortunately there are still some flavours still available in stock. Such good value for money, so much cheaper than other pea proteins I've tried. Double choc is not as chocolatey as I would like so I always add a bit of cocoa powder. I got a sample of salted caramel and it is soooo good, a lot smoother than double choc. Highly recommend! I will be buying salted caramel next time. Powdery finish takes some getting used to after using whey but it's all good! Found the vanilla a bit too sweet even in a smoothie so am trying the natural unflavoured this time. Super fast service (received overnight), no fillers or crap ingredients (only 4 ingredients, all of which I recognise and understand), the Double Chocolate tastes as good or better than all the other vegan chocolate protein powders I've tried (and I've tried lots), super good value ($1 per serving, compared with up to $3 per serving for other brands), and support a NZ made product. What's not to like about this?? Great product NZ Protein, I will be buying this again, thanks!! I never write reviews, but wanted to let people know how great NZprotein really is. The shipping times are unbeatable, by far the quickest - most onto it supplement company I have dealt with in NZ. Have tried all the flavours now, Salted Caramel is by far the best. Hope to see more flavours in the pea isolate in the future! Really happy with this product! I ordered Salted Caramel and Vanilla. Both are delicious. Vanilla is perfect for adding to fruit and veg smoothies, whereas Salted Caramel is great on it's own. Will definitely buy both again. The ingredients are good, and the price is right! Thanks NZProtein! I was reluctant to believe that a pea protein could taste good, given my previous gag-worthy experiences, but this product is AMAZING. My cousin recommended it and I reckon I owe him a training-friendly beer! Salted caramel is so yummy; I can’t wait to try the other flavours too. Totally impressed with the product and the super quick delivery. Awesome! Great product! Easy on stomach and Salted Caramel tastes good (as compared to Choc & Vanilla). Great alternative if you do not want to feel bloated. The best pea protein money can buy. Great flavours and fantastic texture. The new Salted Caramel is my favourite for sure! Great price, great flavor. Has a very slight chalky texture/taste but otherwise besides that its fine. I prefer it over whey protein and I enjoy all three flavors (vanilla, chocolate and salted caramel). For a pea protein it really mixes well with water and tastes good. Every other pea protein I have had clumps and tastes like chalk. Highly recommend, especially the salted caramel - yummy!!! The new salted caramel flavour is delicious!! Good stuff. I found the double chocolate almost the same in flavour is the vanilla. Still good but could definitely use more cocoa. I added some myself. Considered a cookies and cream flavour? Or peanut butter? Pea protein has an "earthy" taste and the chocolate flavour isn't great (as people have said the vanilla is better), but I'm still giving this a 5-STAR rating because A: It's vegan friendly! B: It's great value for money. C: I don't get bloat from it. D: They use Stevia instead of nasty artificial sweeteners. E: Buying this means you're not supporting the dairy industry which personally means a lot to me. I have seen decent results from this product although I feel deceived by the reviews about how good the flavour is. I bought the chocolate flavour and it is the most disgusting thing I have ever tasted. My order was delivered this morning. Awesome service. The caramel flavour is SO good. Thanks so much ! Great service, super fast delivery. Only got samples of different flavours, but will definitely buy more! The chocolate one is my favorite so far. Keep it up team! Excellent product , I have the chocolate flavour and it tastes good! A problem I've found before is powder not tasting good but this one I loved ! Delivery time was so quick ! 20 mins after ordering I got an email to say it was ready to be dispatched ! Very happy with the service and product and very good price too ! Awesome protein. I've had both the vanilla and chocolate and to be honest I think vanilla definitely has more flavour. A couple of things I've found really hard with pea protein is; a) finding one that doesn't leave a texture in your mouth like you've eaten a heap of dried peas/flour & b) finding one that isn't an absolute overkill on the stevia. 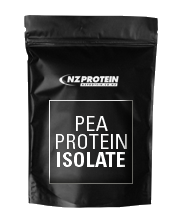 NZ pea protein doesn't have either faults that I've found in every single other pea protein. If anything the chocolate only lacks a bit of flavour. Mixes easily and great in smoothies. For the price it is I would expect much less but this stuff is value for money. Don't hesistate to try it! Very happy with the customer service! I ordered the Double Chocolate flavour by accident, so I sent a quick email asking for the Gourmet Vanilla option instead, and it was taken care of without any hassles. Reading some of the other reviews, the taste seems to be a bit subjective, but I will say that after using a non flavoured rice protein, from another brand for the past few months, (tasted revolting!) switching to this was like a dream! Personally I think it tastes great. Hey guys, thanks so much for the excellent quick service in getting us the pea protein, the gourmet vanilla tastes great too! I love this product. I have recently become dairy free and NZ Protein have everything sorted. this stuff tastes really good and is excellent to use in baking! Best pea protein I've ever had! Excellently priced and completely delicious. Always great shipping times and great communication from NZ PROTEIN. I am not in agreement with most of the reviews here for this product. I have been using the vanilla flavoured pea isolate in my morning smoothie for a couple of weeks now and I find it just awful. I blend it well in my blender with banana, berries and soy or almond milk, but it is still grainy and I find the flavour cardboardy and sickly. I have reduced the amount I use in each 2 glass shake to a scant tablespoonful to try to at least use up the 1kg packet I have, but it still permeates the whole smoothie and I think I am done with it now as I am sick of it ruining the taste of the other lovely ingredients in my smoothie; I could barely even drink this mornings shake. Very disappointed in my purchase of this product. Fantastic product and even better service. Blends well and is such a good price! Will definitely be ordering again. Fast delivery and tastes great. The only fault I find, is it does not blend well and feels grainy when drinking. Fast replies and shipping, thanks team. I am dairy intolerant and I have tried just about all the dairy free options for protein over the last few years. I gave this a try 6 months ago and I love it. Great value, mixes really well just in a shaker, and is also delicious. This is now the only protein powder I use. A friend recommended this to me. I had been using another brand which was nearly twice the price but I prefer this one because it has a smoother consistency and tastes better! Got an email reply back at 11pm and had the item delivered to me the next day. Great service! I've only tried the natural flavour. Recommend for those people looking for a nutritious alternative protein. Delivery was fast.. Overall - excellent. I purchased 6kg of pea protein isolate, 3kg unflavoured and 1kg each of vanilla, chocolate and lemon/lime. I liked vanilla and chocolate for shakes. 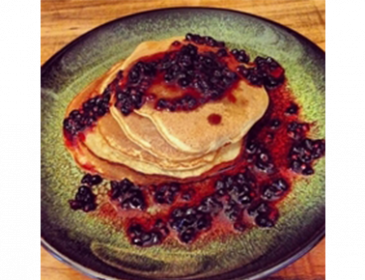 The unflavoured is good for making protein pancakes and other goodies. The service from NZProtein is prompt, professional and friendly. I initially ordered rice protein but there was none left, so after a couple of emails we sorted my order to be just pea protein. It turns out my idea for combining pea and rice powders is unnecessary. The pea protein is high quality and suits me fine. 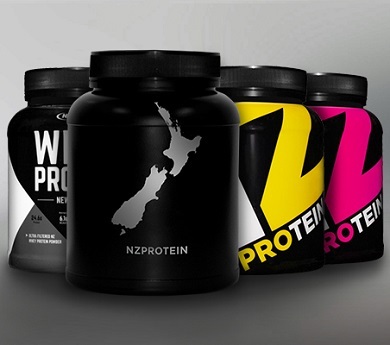 I recommend NZ Protein to anyone looking for good product, good service and good value. ordered on the Monday and arrived on the Tuesday, just how I like it. And its YUMMY. Ordered on a Sunday and received an email same day that it was packed and ready to ship first thing Monday. Awesome. Pea protein is an excellent product. This company delivers great customer service and is always prompt at delivery. I found this to taste best in water, it took a drink or two but I really like it now. keep up the good work guys! I recommend buying the sample first. I bought the gourmet vanilla flavour and although it smells amazing, the taste for me is almost sickening. I've never had a stevia-sweetened product before however. The last pea protein I had only contained vanilla for the flavouring, and in my opinion worked a lot better than this. However, for half the price of the other pea protein options in New Zealand it's worth a try. Pretty good and the best pea I've found, slightly grainy but to be expected that and adding more water helps. Less bitter than others I've had, and priced better. Really cheap, tastes fine, recommended A+ ! Ingredients: Pea protein isolate, flavour, sweetener (stevia). Ingredients: Pea protein isolate, cocoa, flavour, sweetener (stevia). Ingredients: Pea Protein Isolate, Peanut Protein Powder, Salt, Sweetener (Stevia). Contains peanuts. Due to this, the peanut flavour pea protein is manufactured in a separate facility to the other pea protein flavours.